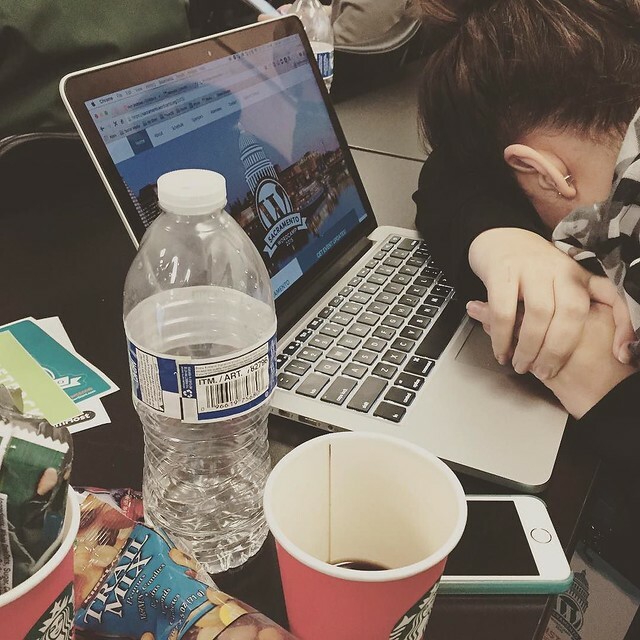 Saturday, November 7th I had the privilege of attending the first ever WordCamp Sacramento. It was organized by our local Sacramento WordPress meet-up group and was hosted by my alumni, The Art Institute of California – Sacramento. For those of you unfamiliar with WordCamp, it’s basically a conference for people that are fans/use WordPress. There are typically WordPress related vendors and you’re able to go to different sessions and listen to speakers talk about using WordPress whether it’s recommending plugins or how-tos. They’re held all over the world in different cities. This WordCamp was the third one I’ve attended. My first one was in Reno, and my second one was in San Francisco. Joshua dropped me off at the school around 8am Saturday morning where I met up with my mother-in-love in what they called “The Happiness Room” a place where you could check out the vendors, meet with other WordCamp attendees, get help with WordPress, and get snacks/coffee. Eventually, we all made our way into the big room where we heard opening remarks from Bill (my old teacher) and Jennifer (one of the organizers). Bill also surprised us with a special welcome video from Matt Mullenweg. Then began the sessions. The sessions were divided up between two rooms: one for beginners/users and one for advanced/developers. Despite not being a beginner WordPress user, most of the sessions I was interested in were in the beginner/user room, so that’s where I was all day. I got to listen and learn from quite a few people, including a previous teacher and a few fellow students. Throughout the day we blew up Twitter with our #wcsac hashtag; we actually managed to get it trending in Sacramento. We had catered Chipotle for lunch and lots of coffee during the day. By the time 5:30 rolled around, I was completely wiped. Despite the fact I was super tired (had a couple of late nights/early mornings that week), I had a really good time. I had a lot of fun running into old coworkers/students that I knew as well as meeting new people. 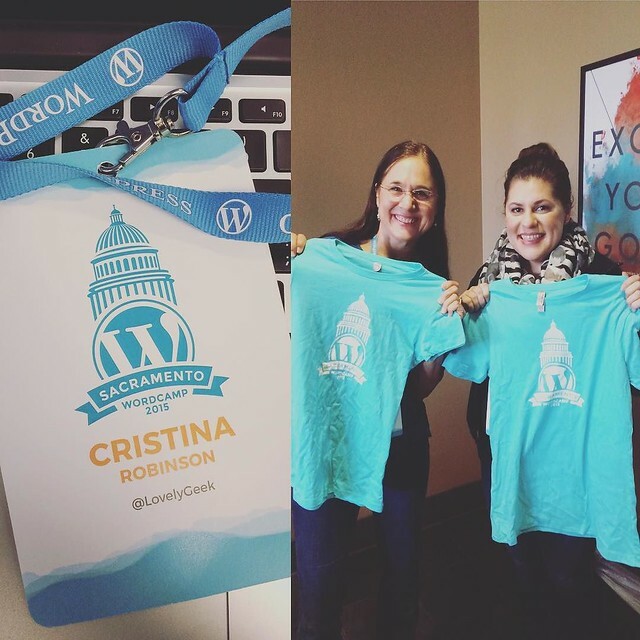 Overall, it was pretty impressive for our very first WordCamp here in Sacramento. I hope we’ll do it again. If we do, I’m thinking about being a speaker. We shall see! You should definitely speak next year, Christina. We’d love to see to see the Three – the Two – the Nine represent for the 916 in 2016! I’m sure you have tons of valuable knowledge to share with people here in Sacramento, and the millions (and millions) watching WordPress.tv at home. I got a couple ideas. 😉 Btw, really enjoyed your talk. I used that plugin a few years ago back when it was Better WP Security, and I forgot how much I liked it! Just installed it on a couple of my sites. I think there was a WC in Sydney but I didn’t find out about it until I went to a talk by Matt himself last year! Awesome job on everyone getting that hashtag trending too.